Hosted by Dr Mike Phillips OBE, British novelist, historian and curator. Followed by a Q&A session. Domnica Radulescu fled her native Romania during Nicolae Ceausescu�s dictatorship. She settled in the United States as a political refugee in 1983. Her first novel �Train to Trieste � won the Library of Virginia Award for Best Fiction. �Black Sea Twilight� is her second novel (Black Swan, July 2011; ppbk). To mark the UK launch of her new book, Domnica will present her work and discuss some of the creative processes and sources of inspiration that lead to the creation of her novels, in light of her experience of growing up in Romania and also of being an �migr� in the Western world. 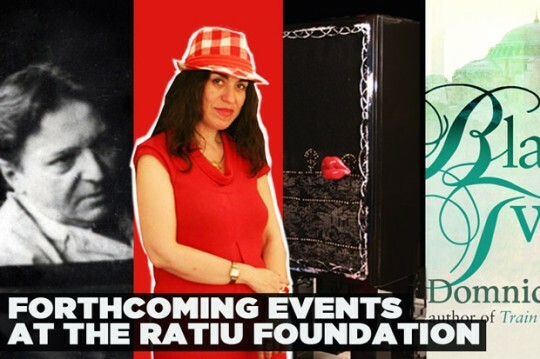 � Domnica Radulescu at the Ratiu Foundation Thursday 21 July 2011, 19.00-21.00, The Ratiu Foundation / Romanian Cultural Centre, Manchester Square, 18 Fitzhardinge Street, London W1H 6EQ; Tel. 020 7486 0295, ext 108; e-mail: bookings@romanianculturalcentre.org.uk; Entry is free but booking is essential. Details here // // // // // // // // // // // // Organised by The Ratiu Foundation / Romanian Cultural Centre in London. Culture Power is a programme initiated by the Ratiu Foundation, consisting of a number of presentations and constructive dialogue with an invited audience. With the support of Profusion International Creative Consultancy.